Growing up in Northern California, Dr. Nicole Labadie developed a love of animals at a young age. Dr. Labadie started working at a local, small animal clinic while in high school, where her romance with veterinary medicine began. She hated to see animals in pain and loved being able to help them any way she could. Dr. Labadie completed her undergraduate studies at University of California, Davis receiving a BS in Animal Science. She went on to attend veterinary school at UC Davis School of Veterinary Medicine. 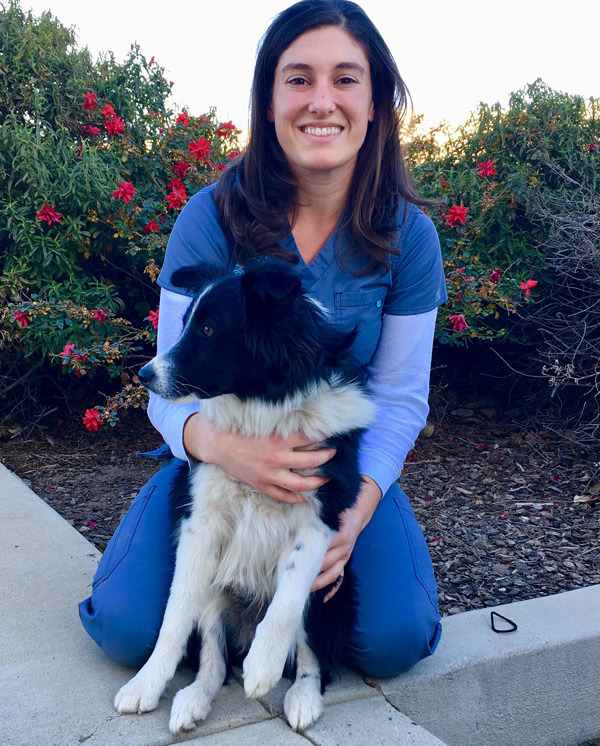 After completing her veterinary studies, Dr. Labadie worked at Glenwood Veterinary Clinic in Colorado, before moving back to California and joining the Pacific Crest Equine team in 2015, and in 2017, moving to the Pacific Crest Companion Animal team. Dr. Labadie is dedicated to providing the best possible medical care for your beloved dogs and cats. Dr. Labadie is an avid outdoor enthusiast and when not at the clinic she can be found skiing, rock climbing, hiking with her dog Cody, river rafting, or riding her horse Joy.